Many of you already know Steve Kaplan. He worked at the Local between 2010 and 2015. 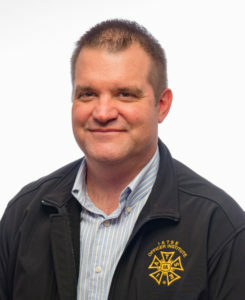 He is also on the Animation Guild’s Executive Board, serves as a Trustee and participated in contract negotiations. What you may not know about him? That he is a zythophile (look it up!) and brews his own beer with his wife, Violet. They share three children—Carlos (21), Ethan (9) and Zachary (7)—live in North Hollywood and love visiting family in Santa Barbara. 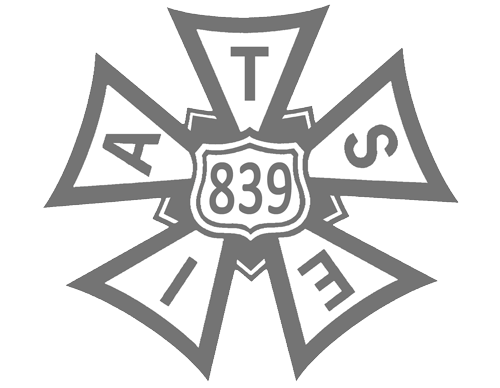 Now, after spending three years at the IA organizing visual effects and non-traditional motion picture and television production work, he returns back to Local 839 as our new field representative. We spoke with the Guild’s newest employee to learn more about his role. I’ll be interfacing with the membership on a daily basis. Jason is an effective business agent because he’s increasing engagement, increasing operations and enforcing contracts but that has kept him in the office. I will be out at the studios, engaging the membership, answering questions, and addressing workplace concerns. I’m also eager to continue organizing to keep non-union studios from undercutting our contract’s workplace conditions and minimum wages. Where will members see you? I will be going desk-to-desk to introduce myself, handing out business cards, and asking if you have any concerns. I am an additional resource for you and I am happy to answer any questions you might have—from health benefits to the finer points of contractual language. If you don’t feel comfortable chatting at your studio, I’m available by phone (818-395-4346) and email (steve.kaplan@tag839.org). How will you engage writers or individuals who may not always be at a studio? There needs to be more of an effort on our part to engage writers and other off-site professionals working under our agreement to ensure they feel part of our union. If you don’t work at a studio location, reach out and let’s get a cup of coffee! How does a field representative help us organize more effectively? Through the regular visits at studios that have signed our agreement, I will be able to build a rapport with the membership, which will be useful when members are interested in organizing a non-union studio they may be working at in the future.